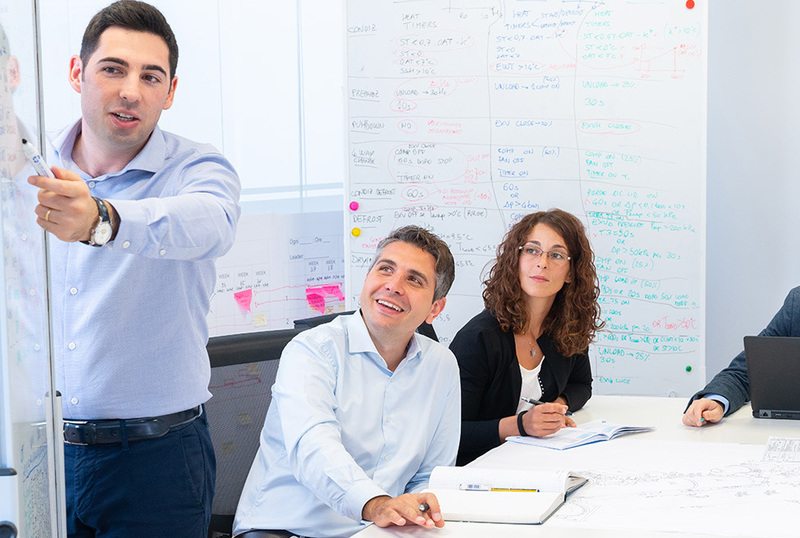 Today´s businesses have to work smarter, smart businesses run on Daikin Intelligent Equipment (IE), unprecedented visibility into your HVAC performance. 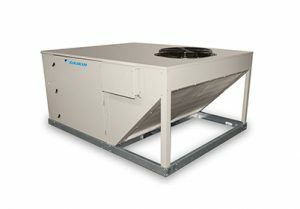 A value base and affordable solution that connects user to the HVAC inside the building. Direct connection to your HVAC unit provides access to 300 data points. Preventive maintenance and notification on actual run time. Unlimited data storage to track unit performance. What does Intelligent Equipment offers your Business? Unprecedented visibility into your HVAC performance making information usable, executable and delivering a value to your decision making. 40% of your building´s energy expenses are tied to HVAC management. Most control solutions and business automation systems (BAS) provide limited insights hindering your ability to control expenses. 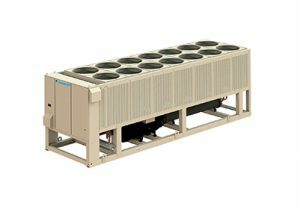 Daikin Intelligent Equipment (IE) gives you unprededented real time visibility into your Daikin HVAC equipment providing direct access to more than 150 data points on Daikin Rooftop Systems and over 300 points on Air-Cooled chiller. No other solution gives you the control to monitor and manage your HVAC system as deeply, freely, accurately and efficiently. 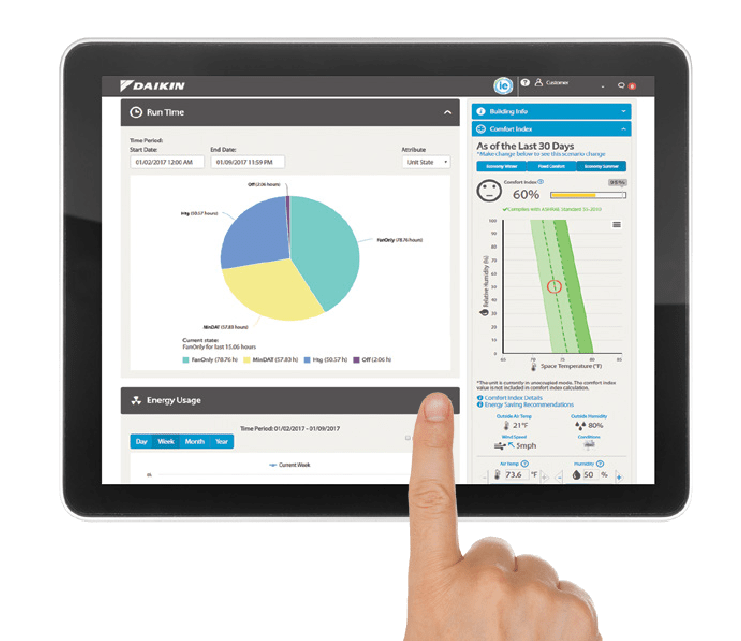 Daikin Intelligent Equipment customer dashboard allows any manager to quickly and easily monitor individual and multiple units in different buildings in order to maintain peak operating efficiency and reduce total lifecycle costs. With IE building owners and facility managers can customize the dashboard to feature the building and HVAC performance metrics according to their roles and interests. Intelligent Equipment facilitates efective decision making by benchamarking unit performace and trending data over time. Preventive unit maintenance: by making recommendations based on actual run time/usage not estimated maintenance needs based on days or months as BAS does. Unit diagnostics: IE sends notifications that specifies what is going on with an specific unit. On the contrary, BAS only alerts changes. Energy usage at the unit level: IE tell you exactly the amount of energy an unit is consuming. BAS systems can´t link energy usage to a specific unit. 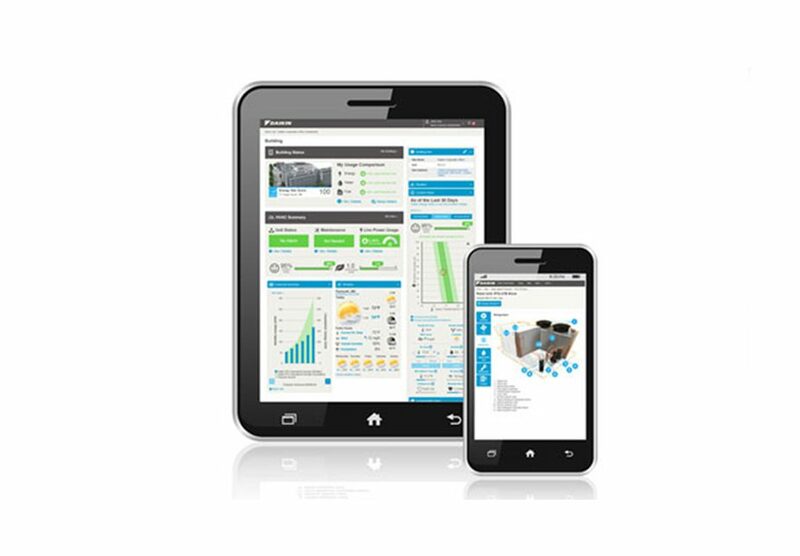 Intelligent Equipment (IE) is a control solution that connects directly to your Daikin HVAC air cooled system or packaged rooftop system to monitor at the equipment level for more accurate performance measurement. 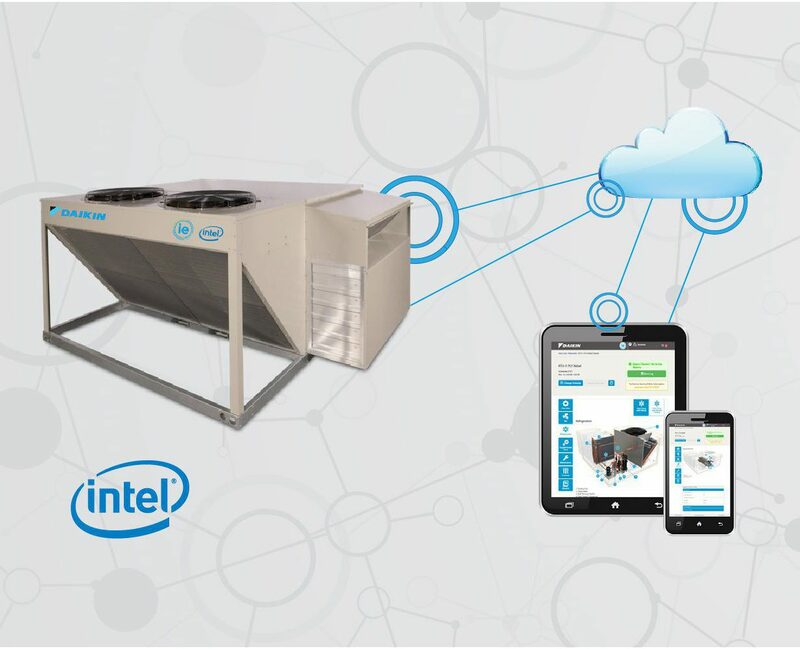 Push data securely in the Daikin Cloud leveraging the Intel-McAfee based operating system providing security. The Data is consolidated in the Daikin Cloud providing unlimited storage and trends presented to the user in a user-friendly interface. 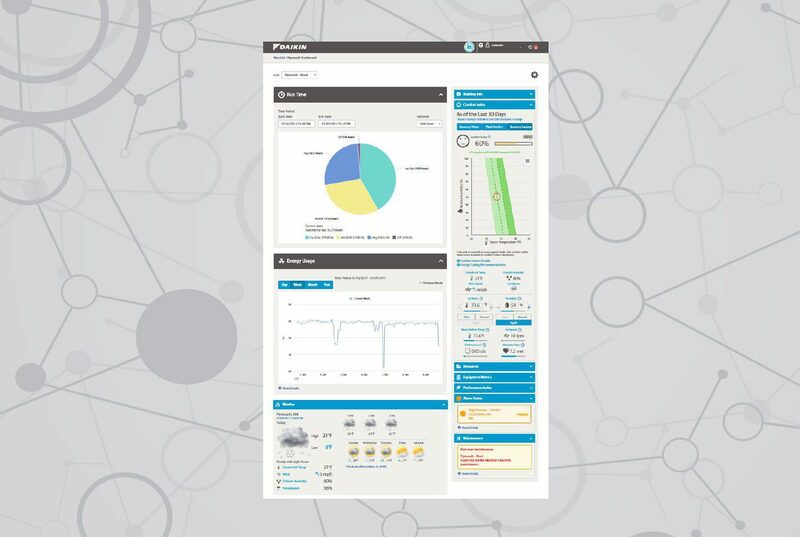 IE analyzes the consolidated data and pulls it back to the HVAC system to optimize system performance in a useful, interactive way. 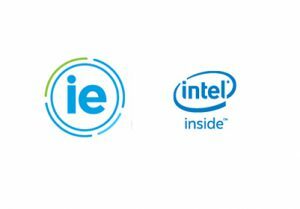 Moreover, IE pulls in information from other sources allowing customers to make better and informed solutions. Users can interact with the interface anywhere at anytime by using their Smartphone, tablet or computer.